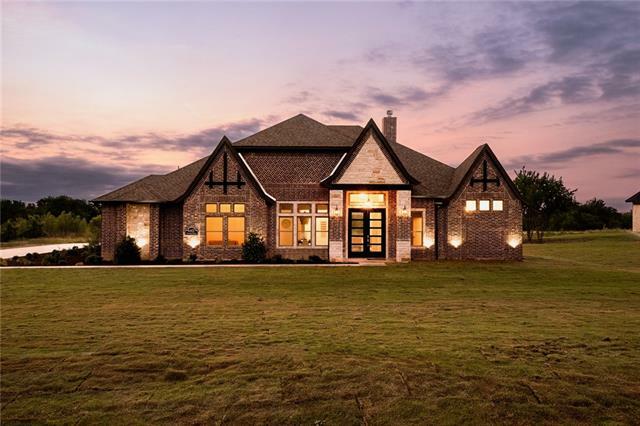 All Godley homes currently listed for sale in Godley as of 04/23/2019 are shown below. You can change the search criteria at any time by pressing the 'Change Search' button below. 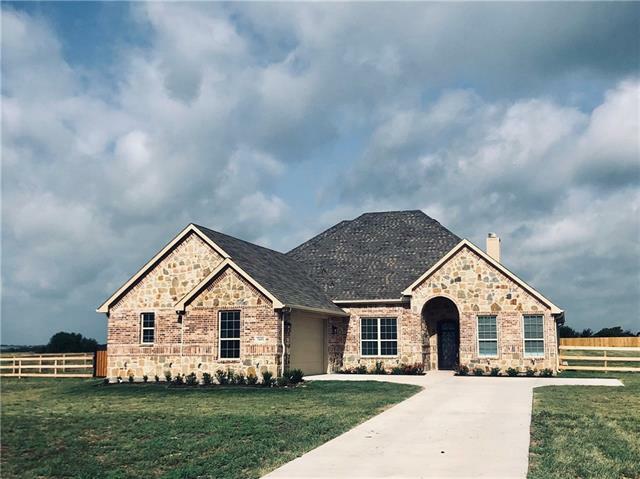 If you have any questions or you would like more information about any Godley homes for sale or other Godley real estate, please contact us and one of our knowledgeable Godley REALTORS® would be pleased to assist you. "Country living at its best!!! 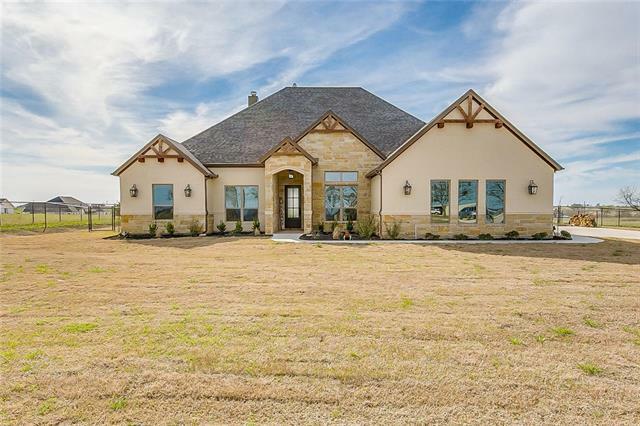 Custom home in Godley Isd on 70 acres with 7 bedrooms, 4 full baths, 2 half baths, with large open commercial style kitchen, huge pantry, living area with stone fireplace and dining area , 2nd large living area, plus study. This home has so much wonderful space for entertaining and large famly gatherings. All the bedrooms are spacious and have lots of storage. Large covered backporch and above ground pool to enjoy the great outdoors ." "Country living at its best!!! 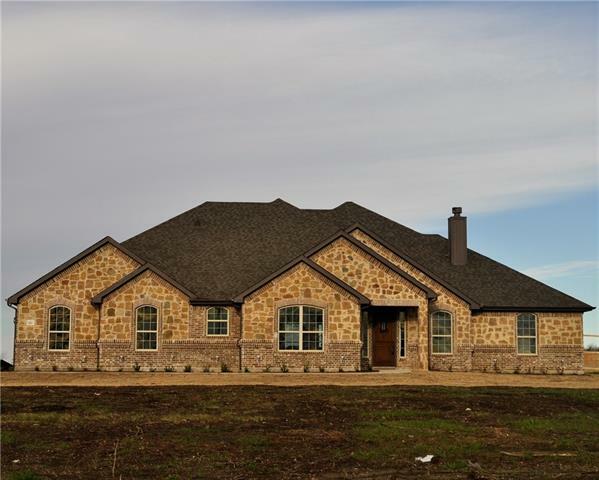 Custom home in Godley Isd on 4.39 acres with 7 bedrooms, 4 full baths, 2 half baths, with large open commercial style kitchen, huge pantry, living area with stone fireplace and dining area , 2nd large living area, plus study. This home has so much wonderful space for entertaining and large famly gatherings. All the bedrooms are spacious and have lots of storage. Large covered backporch and above ground pool to enjoy the great outdoors . Large carport with"
"Looking for property with acreage ? 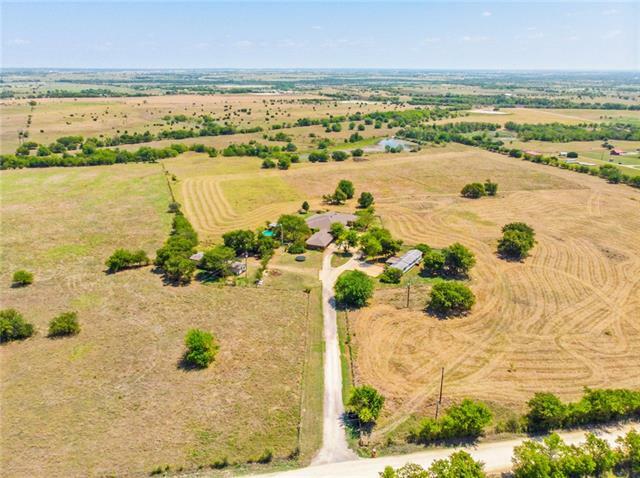 Here is just over 45 acres in Godley that has tons of potential . Currently being used as a horse facility . It has a metal home with 4 bedrooms and 2 baths that just needs some additional finish out .Open kitchen, living and dining area. Three barns that are 84x40, 90x12, and 30x12 plus a shop with electric that is 30x40. This property would be great for livestock or has development potential . 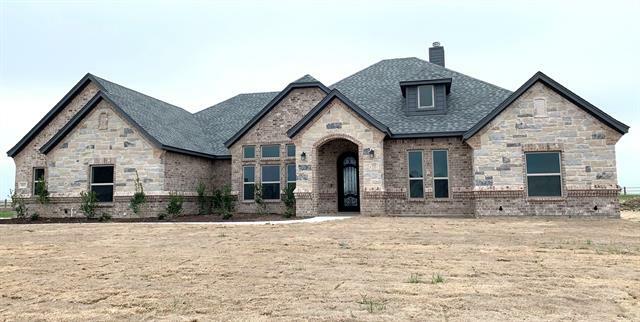 Call today to schedule an appointment to see this great"
"Fabulous New Construction completed in September of 2018 in the newly developed subdivision of Starlight Ranch located in Godley Texas. This Modern Transitional Home sits on a gorgeous lot backing up to the Nolan River and is equipped with Designer ,Transitional Themed features galore that are sure to impress everyone! 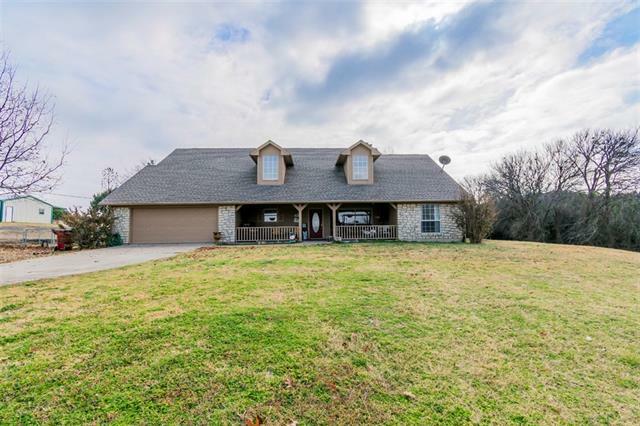 Quartz countertops, Hard Surface Flooring, Decorative Barn Doors, Custom Cabinets, Custom Moldings, Extensive Landscaping, and Outdoor Fireplace and Kitchen are to only name a fe"
"Beautiful three bedroom two bath home on 12.3 acres in Godley school district. Move in ready with completely updated kitchen and master bath, new flooring, roof replaced in 2016. Cozy living room with wood burning fireplace with breezeway connecting two car garage. Open concept living room and kitchen with split bedrooms and appealing pool and small creek across the back of property. Close to schools and shopping." 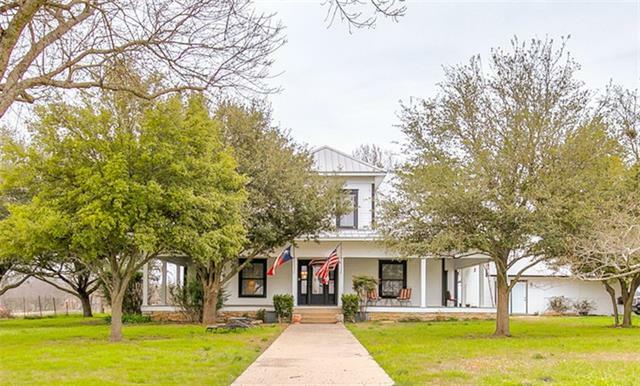 "Majestic 1912 Farmhouse on sprawling 10 acres with oversized wrap around porch, recently renovated kitchen, multiple living areas and storage, original hardwood floors and shiplap throughout. 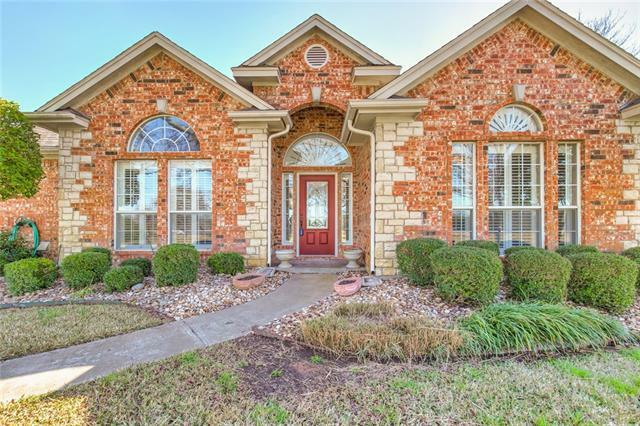 Nestled in the heart of growing Godley, this estate is an easy 30 minute commute to the DFW area. Three bedrooms in main house, easily add a fourth if you d like, three full baths, spacious laundry, master on-suite with powder room and antique clawfoot tub. Fourth bedroom and bath in adjacent guest house "
"Country Living at its Best. 1 acre lot, with open country scenery behind property, exclusive neighborhood, quiet and peaceful country living. Four Bedroom, 3 Bathroom, with formal Dining Room and a Study and a 3 car Garage. Large covered patio overlooking the huge Mesa behind the home." 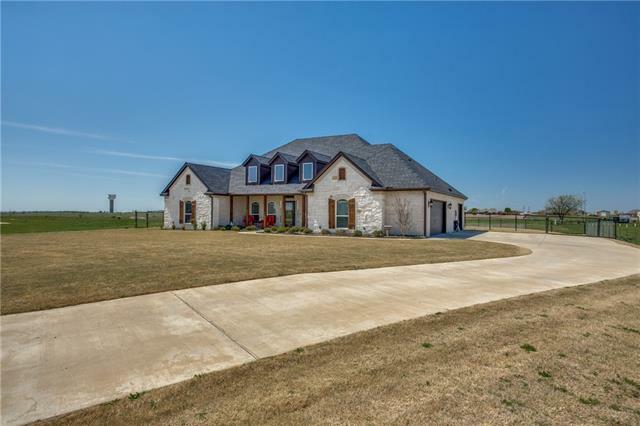 "Gorgeous custom home in Wildcat Ridge subdivision in Godley ISD. Large open kitchen, living and dining area with custom cabinets, granite countertops, large island, gas cooktop, and double oven. Beautiful living area with coffered ceilings , and stone fireplace. Spa like master with dual vanities, soaking tub,walk in shower , and large closet. Spacious extra bedrooms, plus a large upstairs gameroom. Call today to schedule a showing on this wonderful home ." "This beautiful custom home is located in the new gated community of Las Palomas Estates. The impressive vaulted ceiling allows natural light through a large transom window in the family room. Both fireplaces are in view from the front foyer. Kitchen design has quartz countertops, rustic pendant lights, two islands and stainless steel appliances with a bay window in the dining area. The rustic elegant master bath has separate vanities. 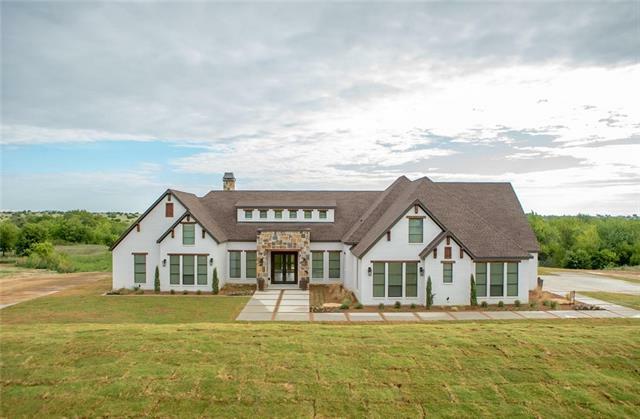 Two bonus areas are the study with French doors and shiplap"
"This exceptionally maintained 4 bedroom, 3 bathroom home sits on over 8 acres with beautiful mature trees and breathtaking views. This recently painted home boasts hardwood floors, tall ceilings, and large windows to bring comfort and light to your daily living. Large open kitchen opens up to a cozy breakfast nook. Spacious master bedroom complimented by the master bathroom which includes dual sinks, garden tub, and separate shower. Large backyard has potential for a pool and a pre-built concret"
"Beautifully maintained home built by SWP Custom homes in 2018. 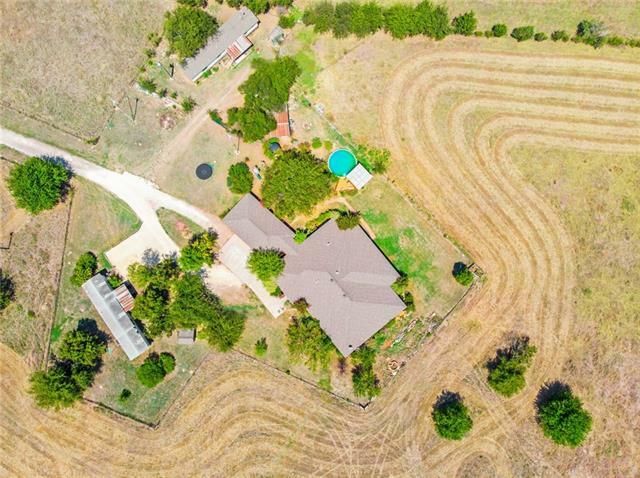 With 2.5 acres, no HOA, and close access to the Chisholm Trail, it's a wonderful opportunity to have proximity to downtown FW and still enjoy a country sunset out your back door. Gas stove, open concept living and kitchen, this 4 bedroom, 3 bath has custom finish outs and craftsmanship everywhere you look. Wooden beam finish outs on the ceiling, herringbone tile inlay at the front door, and well-thought out design finishes in all the"
"New AGC Custom home in the new gated community of Las Palomas Estates! This 4 bedroom, 3 bath home features an ideal open floor plan and over sized eating area perfect for your families needs! 22 x 14 Covered patio with fireplace, wood floors throughout the entry,office,living,kitchen,dining and hallways! The oversized secondary bedrooms are split from the master and if you only need 3 bedrooms, the fourth bedroom would make an ideal game room. Don't miss out on this one! Call agent for details,"
"Wow! Builder will assist with closing cost plus offering choice of refrigerator, washer dryer or quad up to $3000. 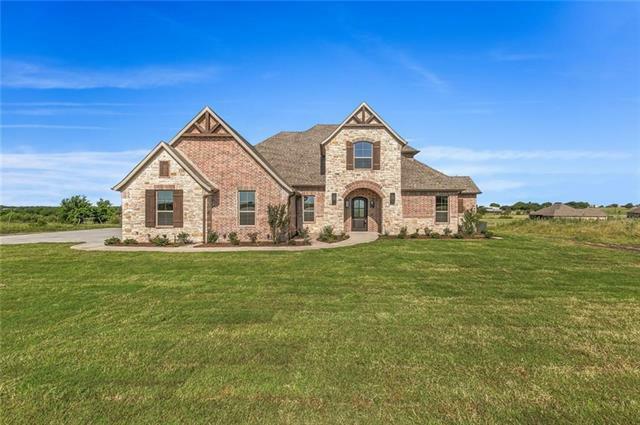 Beautiful brick and stone accented home with decorative lighting all around sitting on 1.9 acre tract in the new Avadele Springs addition. Walk into this wonderfully spacious living area with wood floors and a stone fireplace. Kitchen greets you to the left with a breakfast room on one side and a formal dining room on the other. Master bdrm bath features a glass enclosed separate sh"
"New AGC Custom home in the new gated community of Las Palomas Estates! This 4 bedroom, 3 bath home features an ideal open floor plan and over sized eating area perfect for your families needs! 20 x 16 Covered patio with fireplace, wood floors throughout the entry,office,living,kitchen,dining and hallways! The master bedroom is oversized and features a sitting area. There is also a 13 x 12 exercise room off of the master bath that would also make a great craft room, second office or additional st"
"Wow! Builder will assist with closing cost plus offering choice of refrigerator, washer dryer or quad up to $3000. Fabulous 3000 sqft brick & stone home on a 1.9 acre tract in the new Avadele Springs add. Beautiful 8ft wrought iron door w glazed glass. Home features decorative lighting, spacious living room w a stone fireplace & beautiful wood floors, beautiful built-in cabinetry & granite counter tops throughout the house, kitchen with SS appliances & 5 burner gas top, & a grand 19x13 covered p"
"Fabulous, amazing, spacious, executive home in Starlight Ranch Phase II addition. Home greets you w wood floors, vaulted ceiling, double crown molding, and wood burning FP with decorative porcelain plate add to the ambiance of this home. Open kitchen features Fridgedaire SS appliances, Custom SS farm sink, lots of beautiful custom cabinet space w plenty of decorative lighting, soft closing drawers, 5 burner gas cooking top, pot filler and beautiful back splash. Master Bath features 8x13 walk-in "
"Construction begins when buyer chooses floorplan and design. With a Full Price offer, the Builder is offering right now: Buyers can choose 1 of 2 Options (1) an ATV or a personal watercraft (like a jet ski) both valued at approximately $5,000 -OR- (2) Builder will pay $5,000 towards the buyers Closing Cost! This promotion is for -To Be Built-New Construction." "New AGC Custom home in the new gated community of Las Palomas Estates! This 4 bedroom, 3 bath home features an ideal open floor plan and over sized eating area perfect for your families needs! 20 x 12 Covered patio with fireplace, wood floors throughout the entry,office,living,kitchen,dining and hallways! The oversized secondary bedrooms are split from the master and two of them connect to a full bath. Don't miss out on this one! 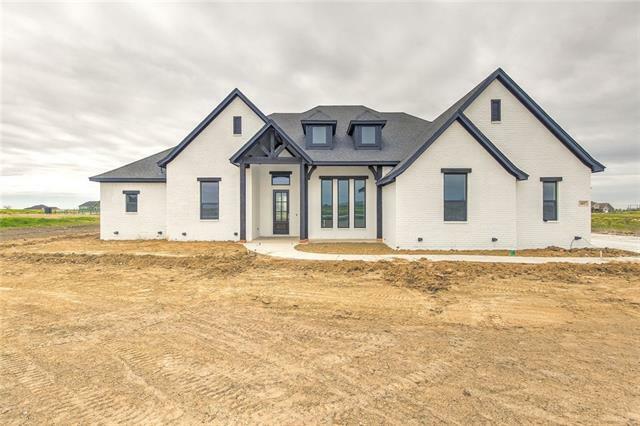 Call agent for details, home should be completed late April or ear"
"Gorgeous custom home built by Abba River in Las Palomas gated subdivision in Godley isd. Large open kitchen, living and breakfast area with granite , stainless appliances, custom cabinets, island, decorative lighting, and wbfp. Spa like master with garden tub, separate shower, dual sinks, granite , and walk in closet . Spacious extra bedroom and 2 full baths plus a study. Large covered backporch with outdoor fireplace. Call today to see this beautiful home"
"Castlemont Homes presents another stunning home, 4 bedroom or 3 with dedicated study, 2.5 baths, 2nd living area perfect for whatever you choose, crown molding, authentic hand scrapped floors, gorgeous fireplace, granite counters, stainless steel appliances, large bedrooms, great closets, & tons of fantastic standard features throughout this gorgeous home. 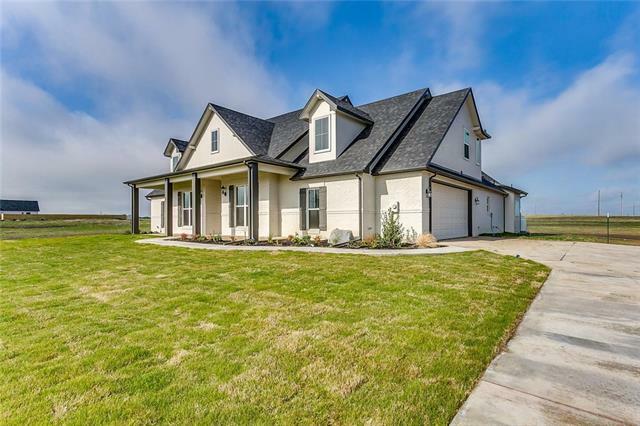 New construction on 1 acre cul de sac lot in Godley ISD. 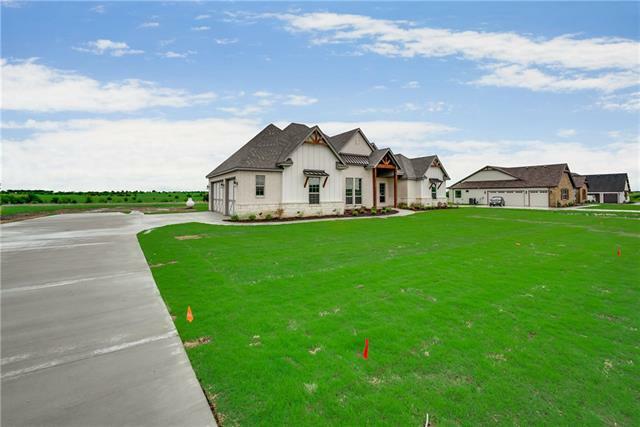 The new subdivision Crossroads at Rough Creek offers luxury country living with wind"
"Gorgeous custom home built by Premier New Construction on a large estate lot 2+- acres with No HOA requirements or dues along with no city taxes. 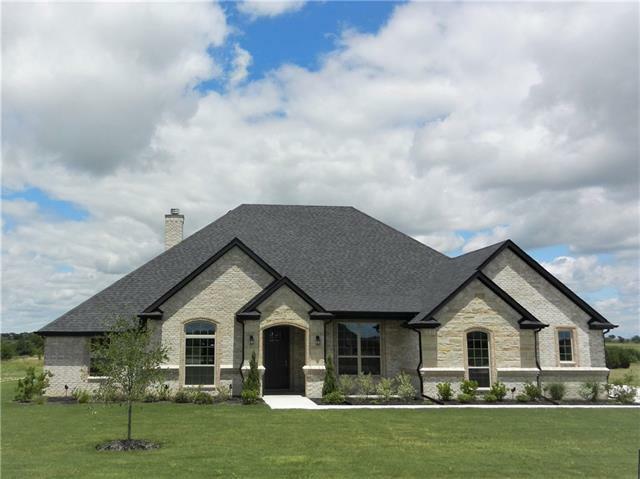 Energy efficient foam insulated home with large open floor plan concept with kitchen, living, dinning room(or office) and breakfast area complete with granite, stainless appliances, gas cooktop, fireplace, custom cabinets, kitchen island, Large overhead wood beams in Living. 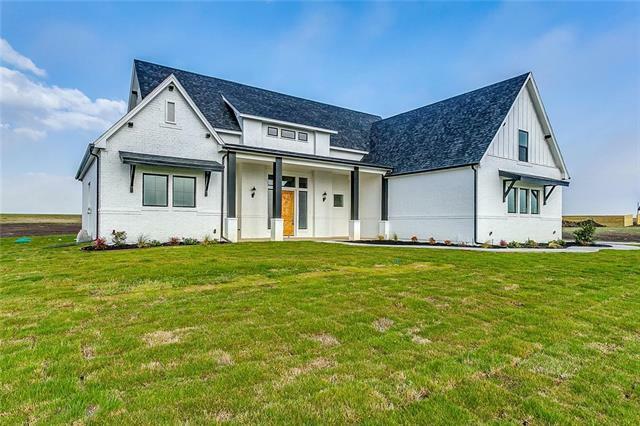 Garden tub with separate walk in shower, his and her master walk in closets, w"
"Stunning custom home built by Premier New Construction on a large estate lot 2+- acres with No HOA requirements or dues with no city taxes. 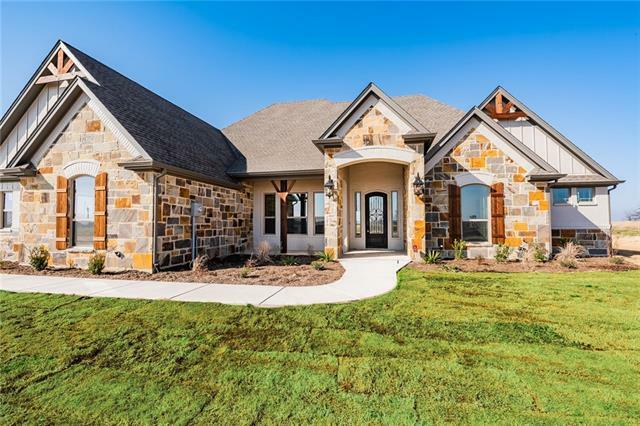 Energy efficient foam insulated home with large open floor plan concept with kitchen, living, and breakfast area complete with granite, stainless appliances, gas cooktop, fireplace, custom cabinets, kitchen island, Large overhead wood beams in Living and Master bedroom. Garden tub with separate walk in shower, extra large master walk in closet, with dual sin"
"Move to the country !!! 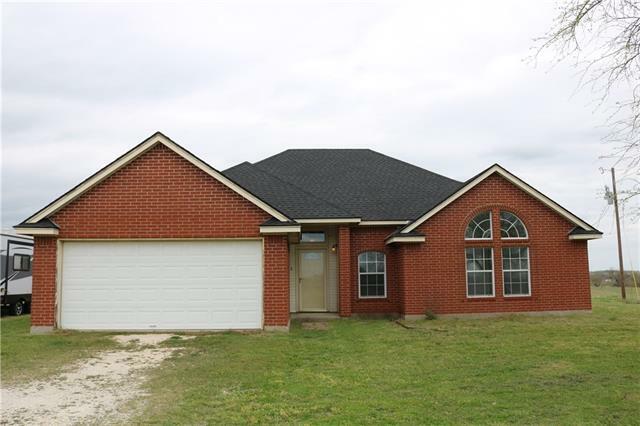 3-2-2 brick home on 10 acres in Godley isd and conveniently located not far from the Chisholm Trail Parkway. Open kitchen , dining and living area with wbfp. Master with dual sinks, garden tub and separate shower. Fresh paint throughout . There is also a barn with electricity with endless possibilities for use as guest quarters, etc. Bring your cattle or horses too. The property also has a shed with pens for livestock. Call today to schedule an appointment to"
"Pristine Custom Home on 1.89 Acres of beauty on Cul de sac for Country Living. Beautiful Home features 4 Large Bedrooms, 2 Full Baths with Extended 3 Car Garage & Large Front Porch. Inviting Grand Entry to Open Living Room with Knoxwood Wood Tile, High Trey Ceilings with Stained Beams & Grand Fireplace. Wonderful Large Kitchen Features Granite Counters, Large Island with Bar Stool area, Custom Cabinets, Double Oven & Wood Tile Flooring. Master Bedroom is Spacious with wonderful view of Incredib"